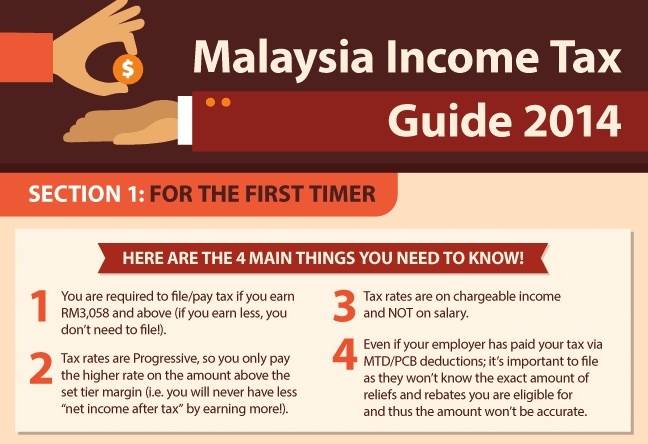 A Guide To Malaysian Income Tax In An Infographic! The season that everyone is dreading is looming closer again, it’s time to file your taxes. Filing your taxes doesn’t have to be a confusing, drawn out process! The great guys at Savemoney.My have come up with a rather smart infographic to assist you with a lot of the questions you may have about filing taxes. Whether you are a seasoned member of the workforce or filing your taxes for the first time, the easy to use infographic provides some awesome information about filing your taxes, from how much you should be getting taxed to how much you’re allowed to deduct. They even have a cool app and a more fully fleshed out guide on their site!